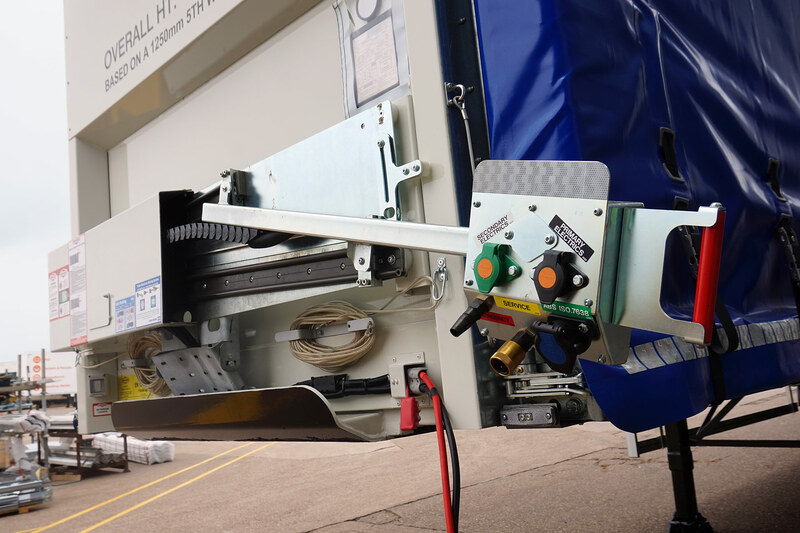 Through their innovative development of bespoke and aerodynamic, fuel-saving solutions, Don-Bur have become the market champions for the design and manufacture of the complete range of commercial vehicle trailers and rigid bodywork. Their flexible approach to engineering and manufacture provides cost-effective distribution solutions to maximise operational efficiency and profitability. To acquire the best value, a purchase isn't necessarily the 'what', it's also often the 'why'. Understanding the 'why' is only achieved by forging strong relationships with customers and Don-Bur invests significant resources to understand operations before developing and evolving specifications. This time-proven ethos ensures that products work harder, last longer and are more efficient than any other 'off-the-shelf' solutions. Transport and logistics is an ever-evolving industry with the onset of tougher health & safety, optimised systems management and demands for increased efficiency and reduced costs. Don-Bur strives to evolve and stay ahead by continually researching and developing new concepts in partnership with their customers. Examples such as the award-winning ground coupling system (seen left) are testament to a company that is always testing the boundaries and pushing new ideas. Don-Bur has significant engineering capability and has built a reputation for innovative solutions. Whatever your requirements, Don-Bur will develop solutions to suit any operational or budgetary restrictions. 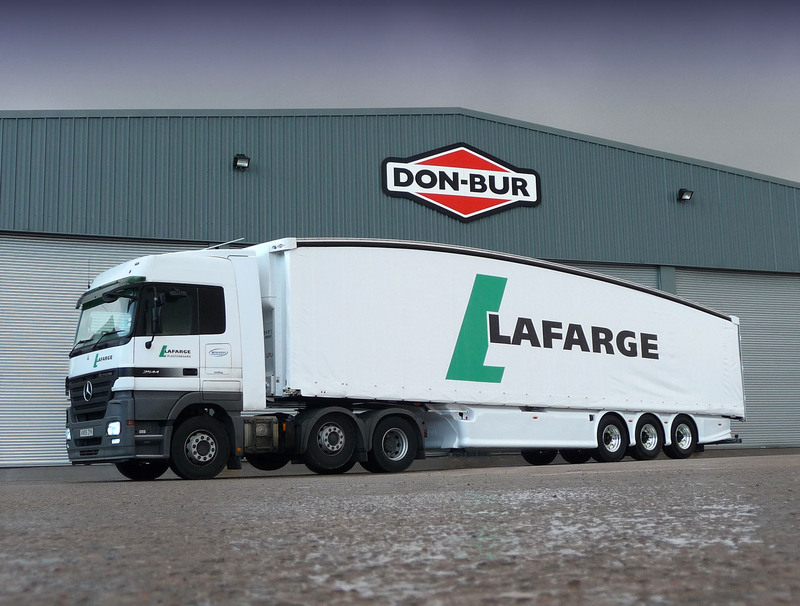 As a result of their ground-breaking work with the Teardrop™ trailer, Don-Bur have become world leaders in aerodynamic efficiency for commercial vehicle bodywork. Sapphire Graphics is a full-feature graphics house and can produce simple decals, full-colour large format print or even signwritten curtains. Don-Bur is the only company in the industry to have this facility in-house which enables better quality control, improved turnaround times and greater design flexibility. 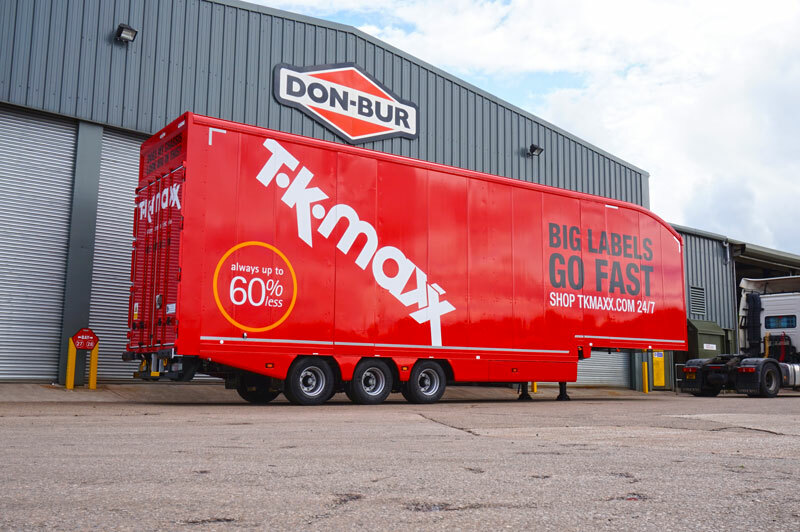 Don-Bur were the original pioneers of Lifting Deck technology and their products now dominate the major fleets. Proven technology combined with time-evolved improvements have resulted in the most reliable and hard working equipment in the marketplace. Don-Bur is a complete integrated service offering you manufacture, curtains, graphics, cargo control, service inspections, refurbishment, repair and even MOT's; all under one, convenient and accountable umbrella. This large website resource is designed to offer you general guidance. Please feel free to contact us to discuss your requirements or talk through any ideas you may have.